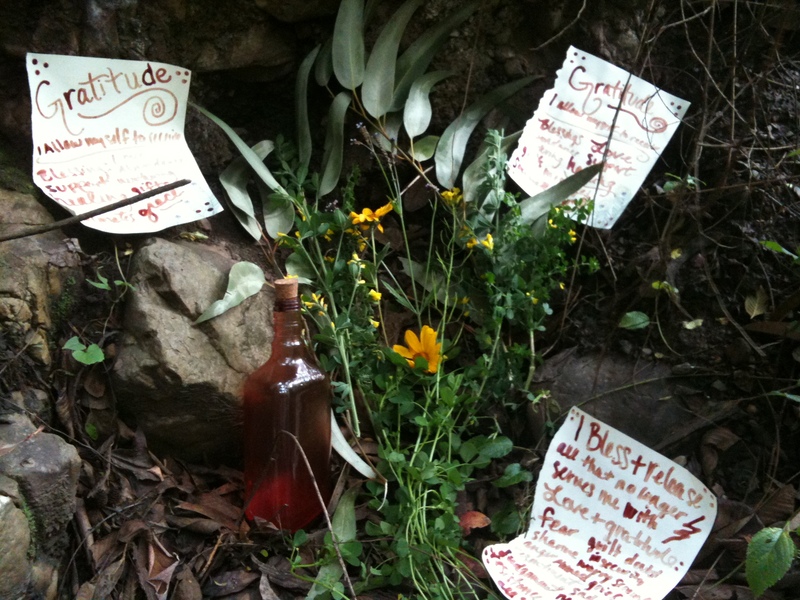 Working with the power of our moon blood is magical and transformative. I have experienced profound physical, emotional and sexual healing by honoring the sacredness of our menstrual cycles and offering my blood to the earth. 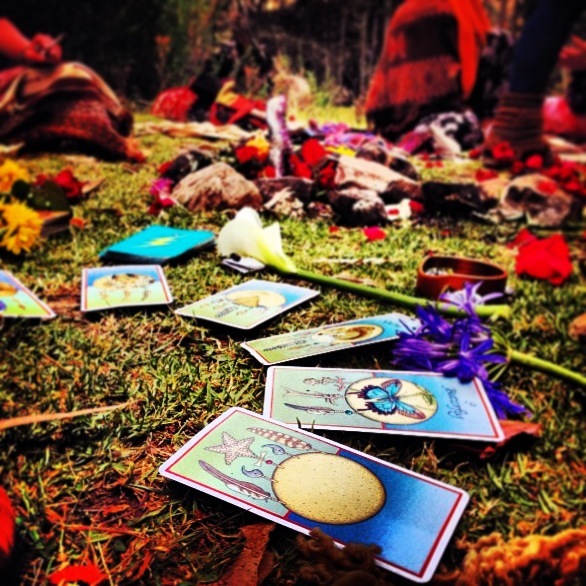 In creating our own rituals and ceremonies we not only access the incredible power of these practices, but we also cultivate a deep intimacy with our bodies, our wombs and our sacred cycles. When we come into harmony with our own personal rhythms, we are in harmony with the rhythms and cycles of nature and the universe. 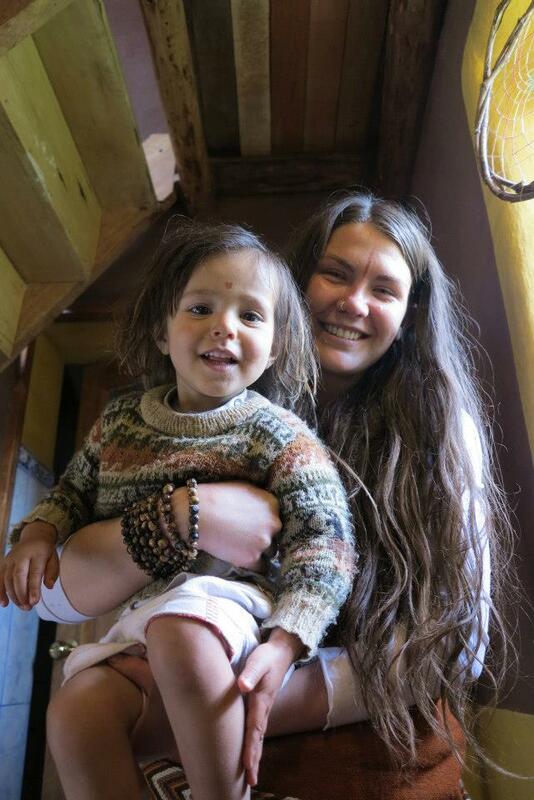 Many sisters from all over the world are awakening to the healing power, wisdom and magic of these practices. I have received so much encouragement to blog about this and create more movement.. so here it is! I am now collecting the portraits and testimonials of those who have been touched by their own experiences with Moon Ceremonies and Blood Rituals. I will begin with sharing my own. Growing up in the US, I was conditioned to believe that our menstrual cycles are simply an inconvenient, painful, messy disadvantage of being a woman. “The curse” our moms and grandmothers called it, right? 😉 I had some ovarian cysts burst when I was about 16 years old and I hemorrhaged with unbelievable pain for 10 days. Every since then, it was as if that set the pace for my cycles. Every month, I would bleed so heavily for 6 – 9 days that it was almost unmanageable. I would bleed through a super plus chemmy tampon in a matter of 20 minutes. Obviously, exhausting and mortifying for a teenager. On top of that, I was an emotional WRECK. Already a sensitive and emotional being, I was fully overwhelmed by my (usually more hostile) feelings and basically was a basket case for the week before and during. Suffering. The worst part of it, of course, was that for several days before and the entire duration of my cycle, I was in UNBEARABLE pain. My cramps were so extreme that I was literally bed ridden for 3 – 4 days every month. At that time I had no awareness of any solutions other than popping a bunch of painkillers, laying in bed with a hot water bottle on my womb and, or course, cursing the curse and complaining of the misery of being a woman. So this went on every month for years until August of 2012. I have been fully devoted to my personal healing since 2008-ish and so I was aware that the pain I was experiencing in my womb had to do with unhealed sexual and emotional stuffs… And I knew that it was possible to heal it completely if I had the right perspective. After so many years of such deep work and dedication to my healing, I didn’t understand why I was still having the pains. (I thought that the process that healed a giant cancerous brain tumor would take care of the menstrual cramps 😉 ) But alas, it was the same as it had always been. Cripplingly painful. So I started to explore other tools and researching both ancient and modern native and indigenous traditions around menstruation. I was so inspired by what I found! I learned how our ancestors and the wise ones of recent decades honor the cycle as a most sacred and powerful time. A time when women become even more open and sensitive channels for feminine wisdom, power, magic and healing. It flows through us most intensely for the first four days of bleeding. I read in so many tribes how the bleeding woman is honored, nurtured, and even worshiped as the Goddess in human form. It is a time of resting, receiving and also sharing the intuitive wisdom that is flowing through her. The elders and men revered them. The blood itself is seen as a truly magical and healing substance and is used in countless different ways. The ancients knew that it was symbolic. That to be out of harmony with our own cycle meant we were out of harmony with the cycles of the universe and the rhythms of nature. That the pain was simply a sign of this imbalance. It was so obvious to me. With this new perspective, I was sending a different message to my cells. I saw it as another opportunity to heal the disconnects within me and cultivate a deep intimacy with my body, my womb, my emotions, and especially my sensitivity. Learning to embrace it as part of my gifts and how not to be overwhelmed by it. To be fully in tune with MY personal cycles and rhythms. The resonance was profound. I then discovered the Diva Cup (I know you were all waiting for that part!) A sanitary, earth friendly way to collect your blood. Even using that for the first time was so healing! Going from damming myself up with toxic papers and plastics like I was trying to patch a hole in a boat… as opposed to a gentle and clean collection of this most sacred and magical liquid. This already completely changed the vibe of the whole experience. 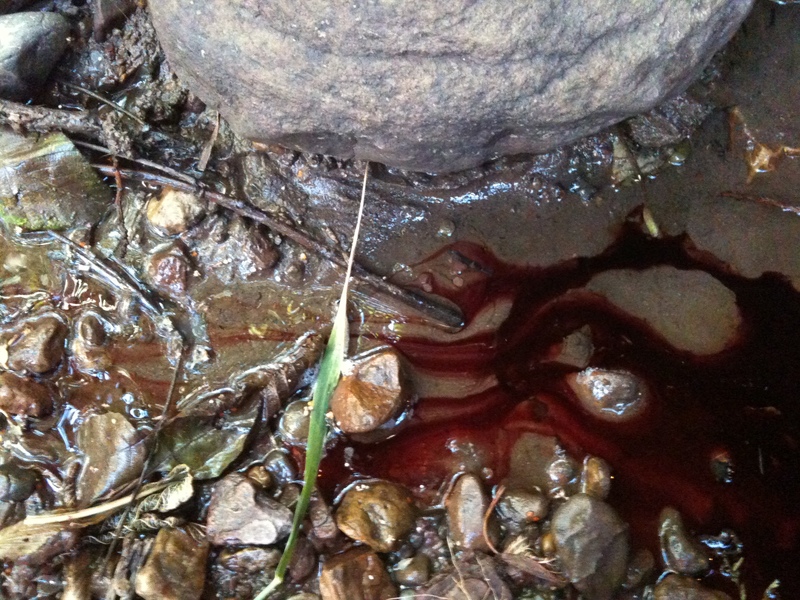 I began with the most simple of ceremonies.. Pouring my blood from my cup onto the earth as an offering… Then I discovered the power of bleeding directly onto the ground or into the water. Seeing my blood fall freely onto the rocks for the first time sent waves of RAW and primal power through my entire being. The connection I felt to myself and to nature was unreal. After 2 months of this, I took it to the next level. 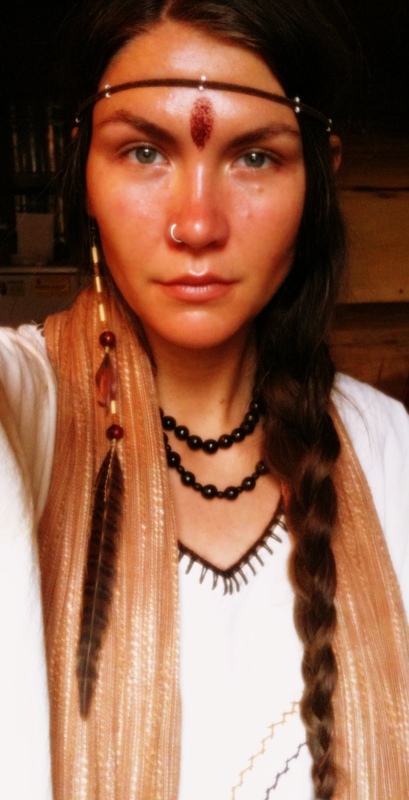 I started wearing a streak of my blood over my third eye every day that I was bleeding and took my rituals to a whole other level of depth. 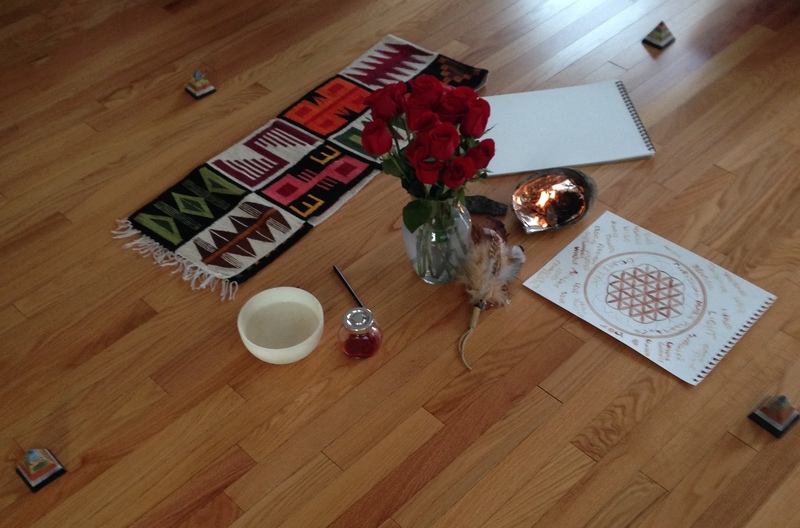 I began combining my other rituals and ceremonies with the elements and weaving it all together. Every month, they vary with my mood and continue to transform and expand. 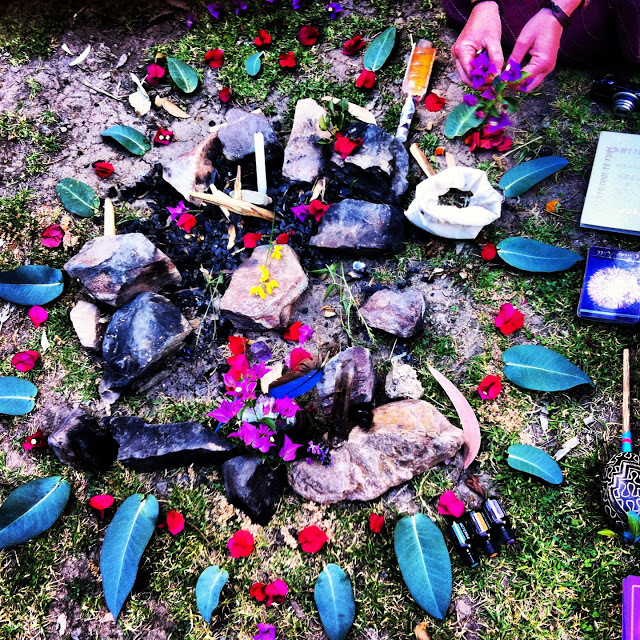 I love to create an altar with flowers, crystals and the elements and make a small fire in the middle. (I use Paulo Santo wood) I write with my blood and a paintbrush on at least 2 sheets of paper. One, I write down everything that I am blessing and releasing from my life with love and gratitude. People, places, emotions, habits, all of it. 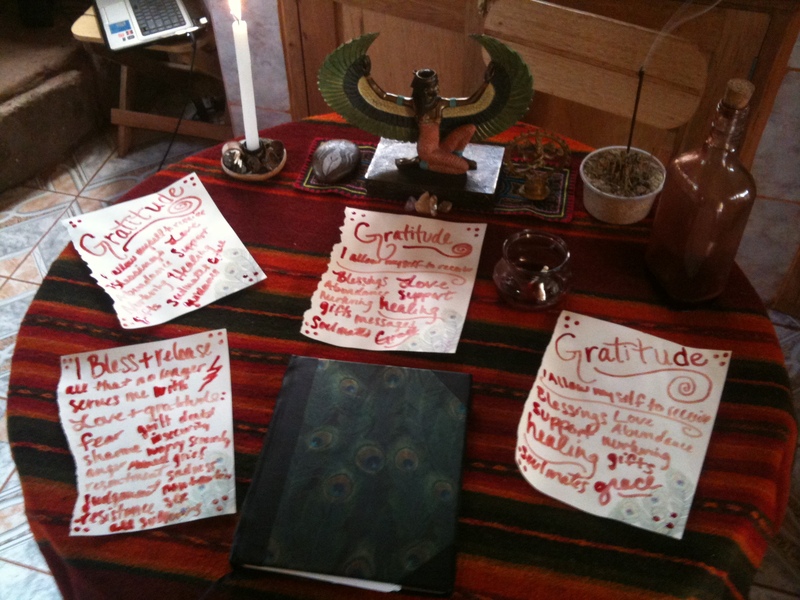 The next paper is an offering of gratitude for all that I am allowing myself to receive/embody. I again list the specifics. Love, support, abundance, grace, humility, compassion, forgiveness, guidance, blessings… ALL of it. 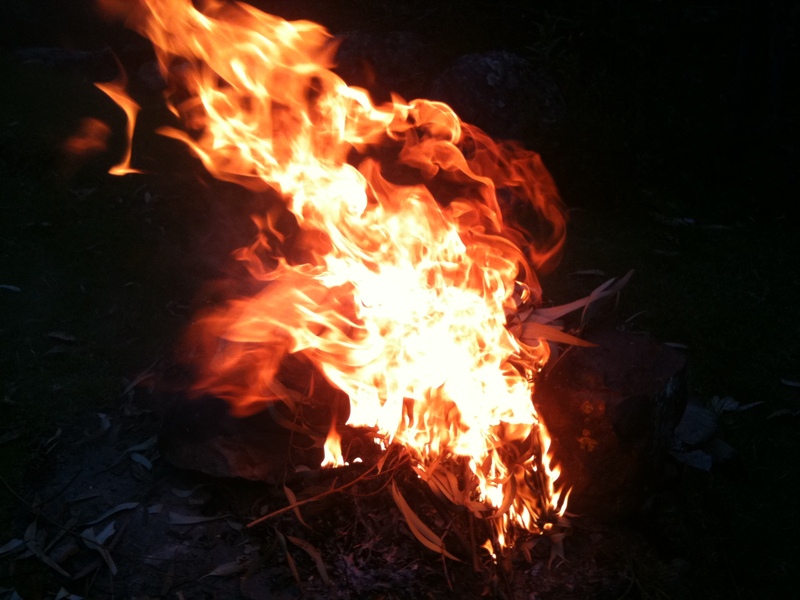 In my own way, I then offer both papers to the fire, the ashes to the earth and air, and the last of the blood into the water. All in love, all in trust, all in gratitude. Anyway. After two months of doing this, as the third month’s time came, I was shocked as I had no pre-cycle cramping… And was shocked every one of those 5 days that I had absolutely zero pain the entire time. I was obviously so excited, but admittedly skeptical and afraid that it was just a fluke.. That the pain would return again the next month or shortly after. I noticed this sabotaging pattern and re routed my thoughts to sending messages of love, trust and gratitude to my womb and to all of my cells. I have had no pain since. Now, my moon time is when I feel the most empowered, the most beautiful, and the most peaceful. It is my favorite time of the month. I even feel a little sad when I only bleed for 4 days now… I keep my blood in a beautiful glass bottle with a cork and weave it’s use into my other rituals as well. Just to increase the potency. I recently began painting with it as well after many sisters suggested. Amazing. I see why every aspect of this practice is SO HEALING. 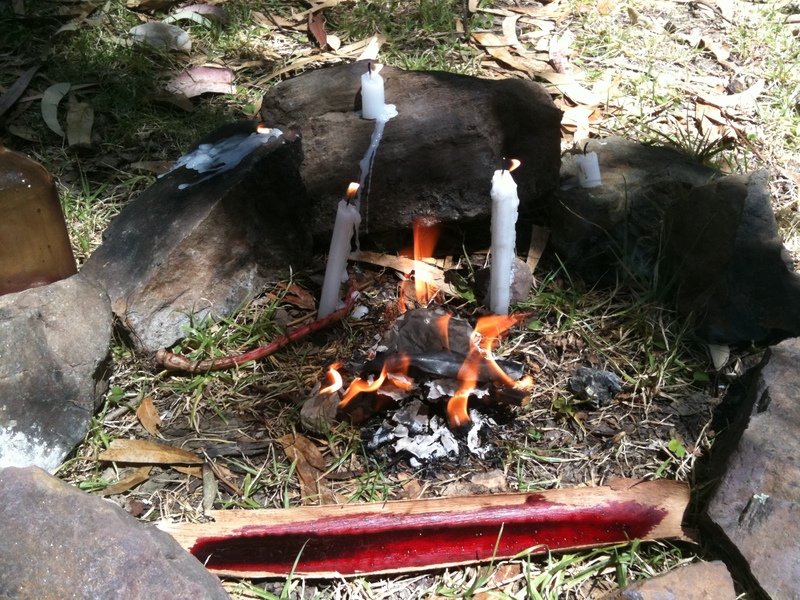 Just the journey of exploring and creating personal rituals and ceremonies and the intimacy forged is so profound… Let alone the magical return. And then, there is sharing this practice with sisters. Words cannot describe the honor I feel every time. Ancient memories of gathering this way are awakened in us. Tears stream down our faces as we remember the power of sisterhood and the healing magic within us. We remember the strength and wisdom within all women. We are reminded of our ability to move through any and all challenges with grace and ease with the support of each other. 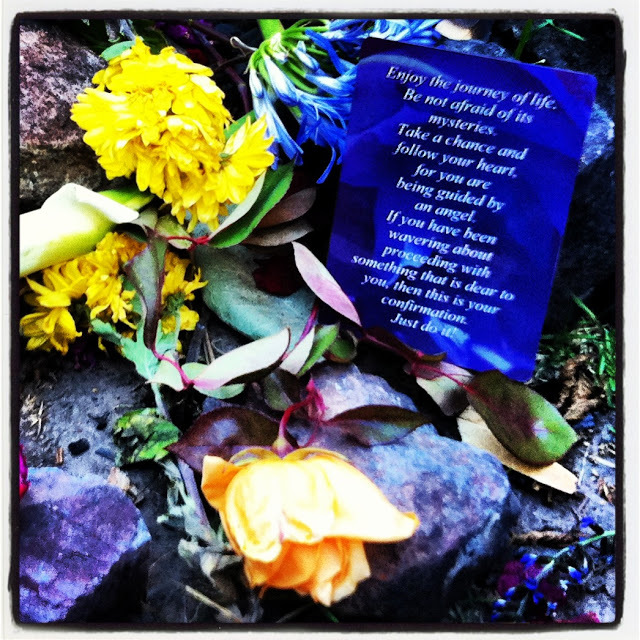 We are reminded that our sensitivity is part of our gift as healers and it is to be embraced, honored and celebrated. We are reminded that as we heal our own wombs, we are healing every woman on this planet and every woman who has ever walked this earth before us. To bleed on the earth with my sisters, shaking rattles, beating medicine drums and letting the tribal yell of the Mother ring from our throats may be the highest form of magic I have experienced. 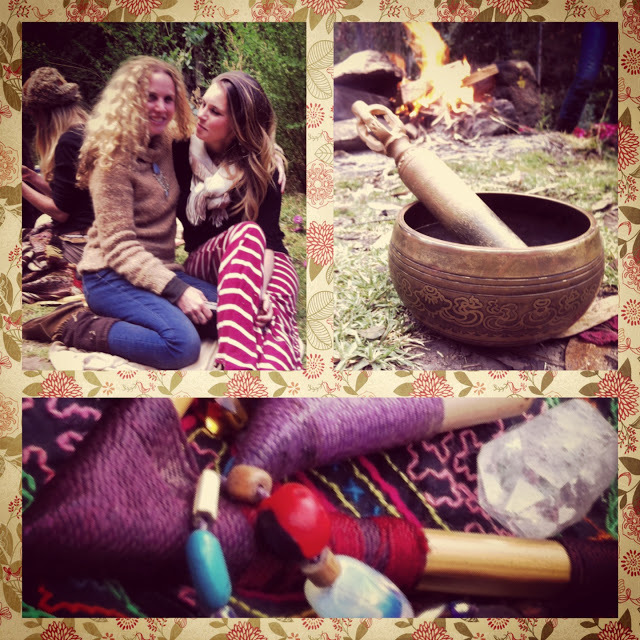 Healers, Witches and Priestesses united in love, intention and moon cycle. Healing ourselves, healing each other, healing the earth. 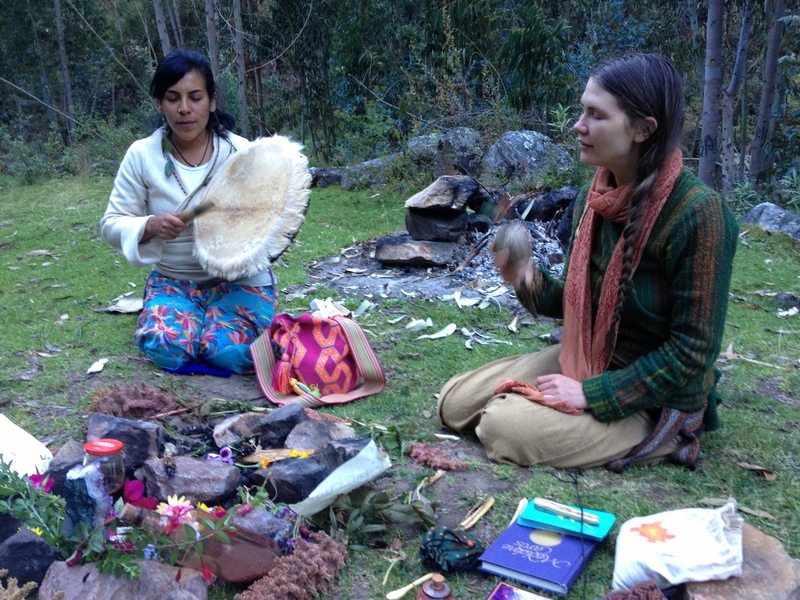 I feel so inspired to share this message and to eventually create a Moon Lodge Tipi here in Pisac where sisters can come to learn about the various traditions of Womens’ Mysteries, to share and to be initiated in these beautiful and most sacred practices. Meredith once again shares her story so thoughtfully that it takes me from feeling uncomfortable about something I have never considered to, by the end, being curious how I can open up to this experience in my own life. Thank you sister. Your words…your intention…your wisdom is incredible! As I sit here, tears stream down my face because it is so overwhelmingly clear the profound impact the expression of your purpose has, is, and will continue to have in the lives of so many women and MEN around the world. It was in one of our conversations many months ago that you first told me about blood rituals. The idea of collecting my own blood, using it to write, putting it on my body, and even drinking it was kind of shocking. Like your experience, I too had incredibly painful menstruation even to the point of needing to be hospitalized a couple of times and the flow was heavy as well. Every month I dreaded the experience. So, collecting it, touching it, doing anything with it was kind of revolting. Even looking at it sometimes was uncomfortable for me. Needless to say, it was going to take something for me to overcome this fear. In the fall of last year, I started some of my own practices. 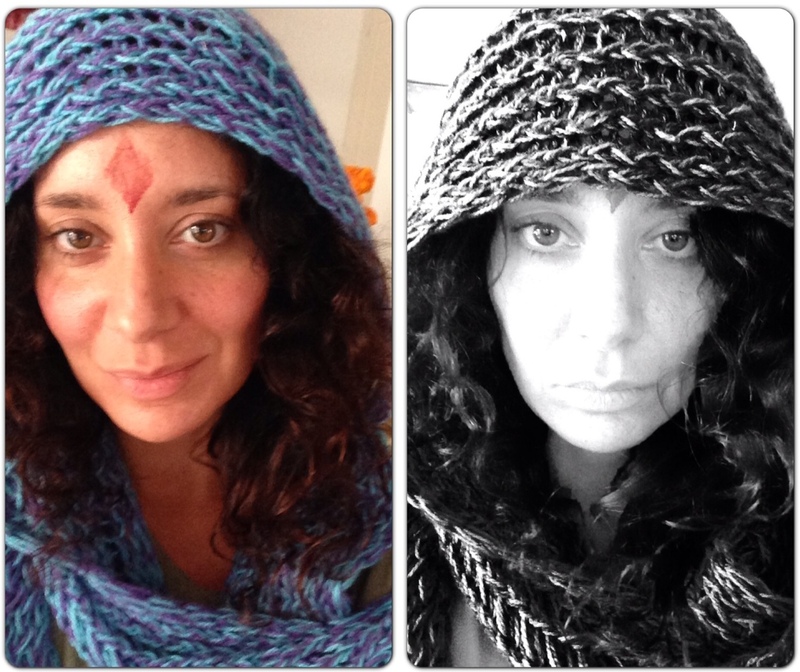 One was to use my tool of breath work to manage the pain of my moon. Instead of popping pills to manage the pain, I breathed through it…deeply and fully…with every breath expressing my appreciation for being a woman and having this power to produce new LIFE in my own body! Another was to drink my collected blood. The first time, I probably sat with the cup in my hand for 20 minutes building the courage to do so. And, what I got present to in that moment was the power within me to heal myself with my own blood. I am all that I need. Never before had I felt so incredibly grateful to be a woman than in that moment. 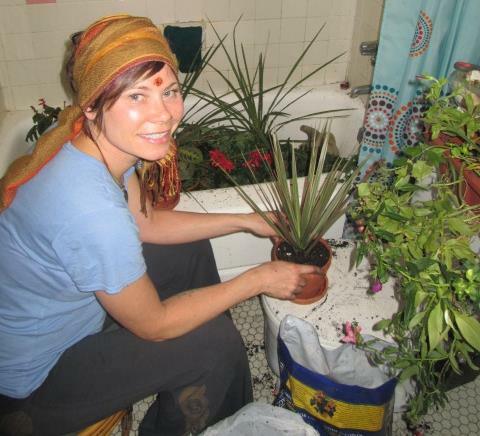 Meredith, thank you so VERY much for sharing your medicine with me and with others. 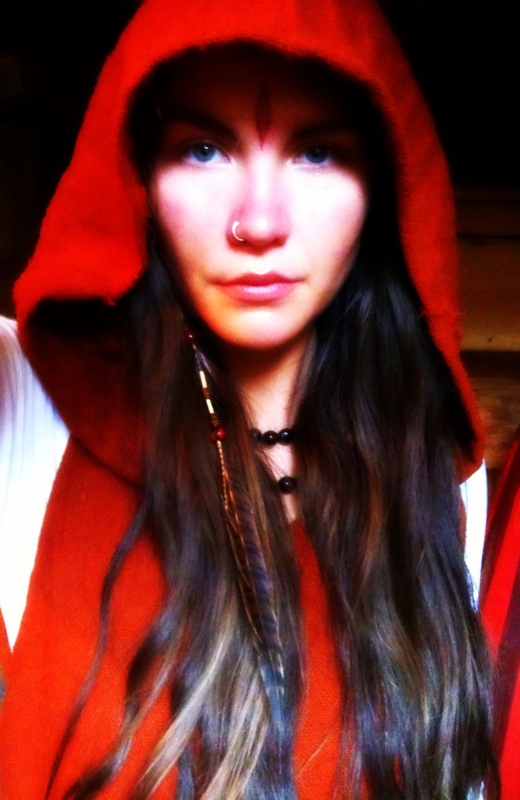 Beautiful, high priestess, goddess, divine being…I love you. 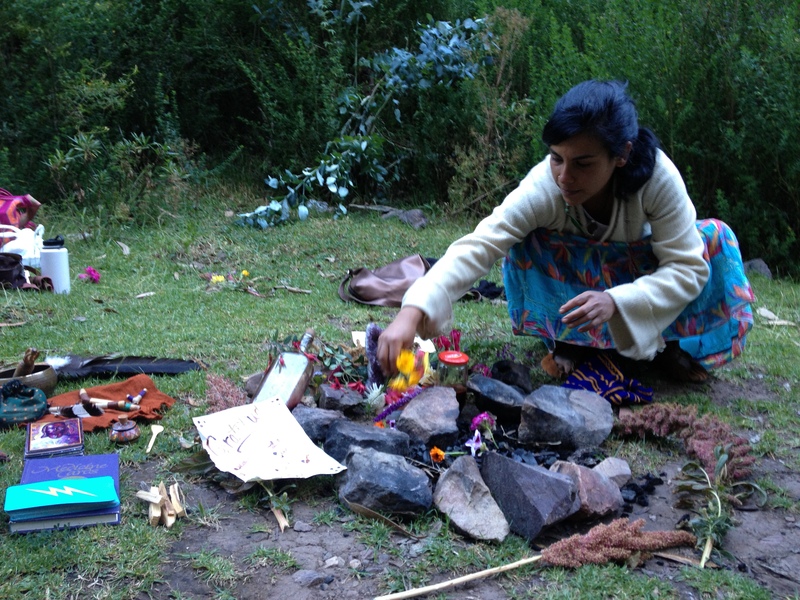 When I tried Plant Medicine, this type of ceremony was what i was speaking about to Heal all my siSTARS ❤ I'm so happy that its real and others are already doing it and have been doing it for centuries ❤ Sacred knowledge and Feminine Wisdom is all within the collective consciousness that is US. Thank you sister, how beautiful to read you and feel you and feel renewed in my own path inspired by your truth. Menstruation is a woman’s gift from the Goddess, Mother Nature. 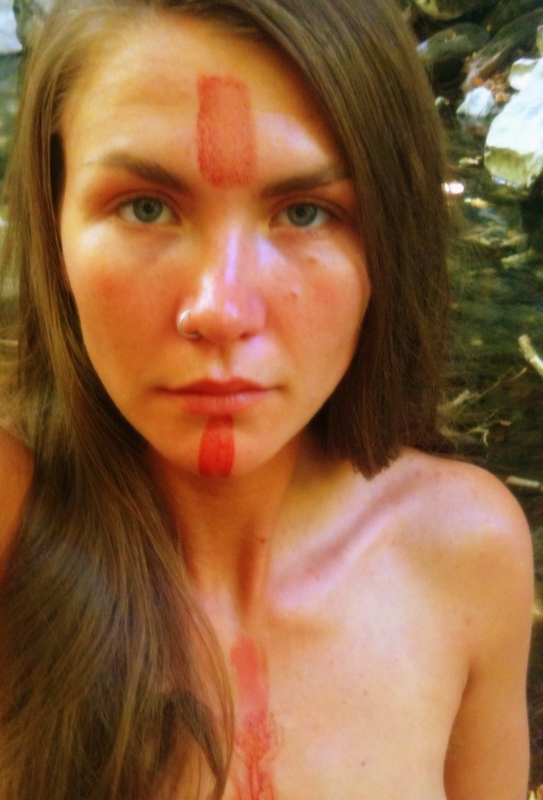 My menstruation is my sacred time, my time of worship to Mother Nature, thanking her that I was born female. Witches are most powerful at this time and are cycles are ruled by the moon. I would refuse a man entering me at my period time. Women out there, do not be ashamed or disgusted by your menstruation….embrace it, love it, be creative with it, do rituals, etc.